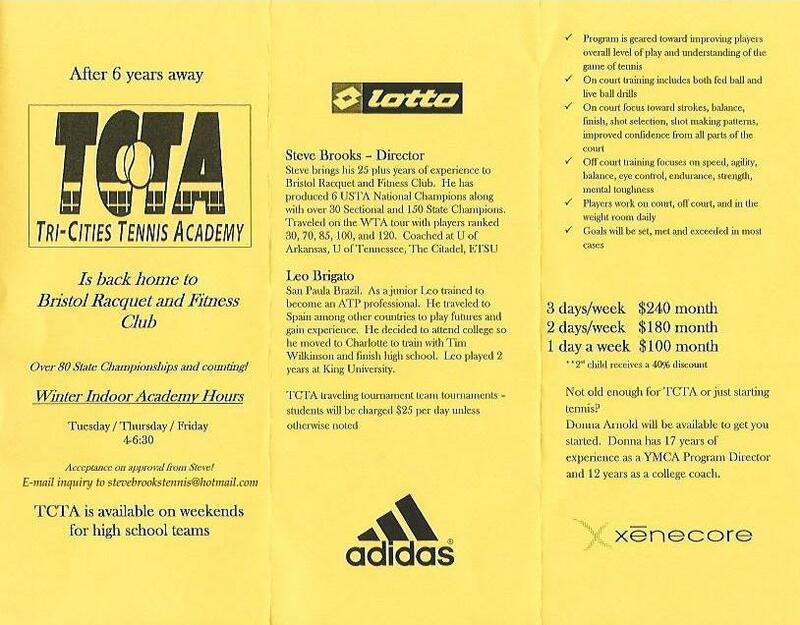 Tri-Cities Tennis Academy (TCTA) under the direction of Coach Steve Brooks has returned to BRFC where it all began. TCTA has been developing some of the best junior players in the Mountain Empire for the past 8 years including Danielle Vines, Matt Henson, Austin Henson, Stone Cozart, Andrew Morton, Chris Morton, Reed Crabtree, Keona Fielitz, Rose Rosser, Lily Rosser, Sydney Berry, Anna Parker Shumate & David Bieger. During this time TCTA players have achieved some great results including 6 TSSAA State Championships and over 90 USTA State Championships! Winter Indoor Academy begins January 5. Click here for details.